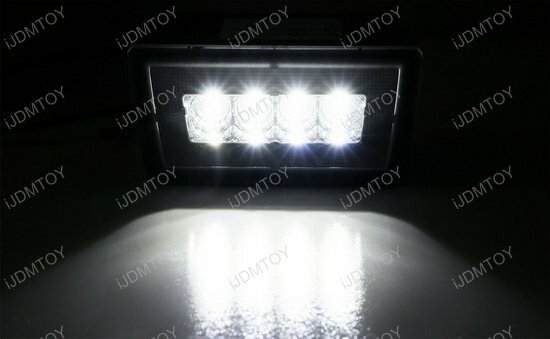 A: Yes, this 3-in-1 JDM LED rear fog light/backup light LED conversion kit is completely street legal. 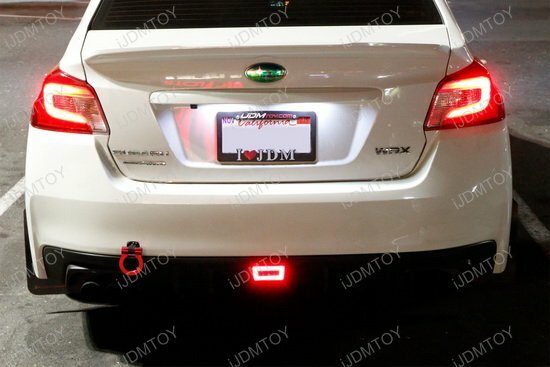 Q: Does this LED rear fog light require any modification? 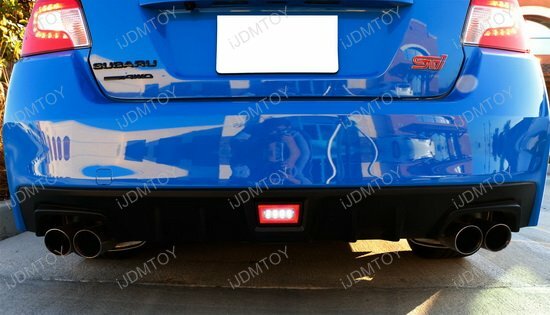 A: For 2011-up Subaru WRX/STi, you can pretty much install this JDM style LED rear fog light directly, just some tapping wires required. 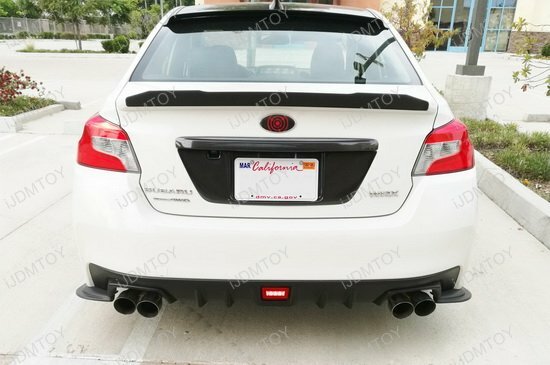 However, for the 2011-up Subaru Impreza and 2013-up Subaru XV Crosstrek, the rear fog lamp opening on the bumper was not opened completely, you can not use the metal bracket come with this product, instead, you have to make some spacers in order to position this LED rear fog lamp evenly into the rearfog opening. 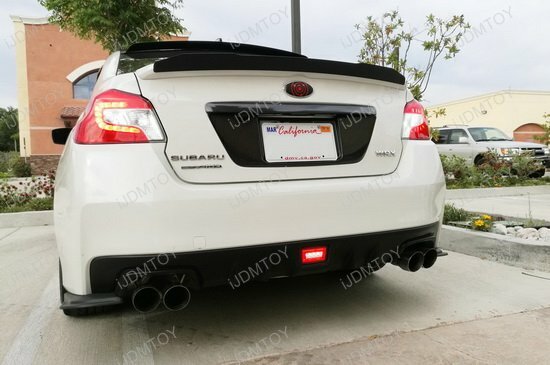 Q: How do I install this Subaru LED rear fog light? 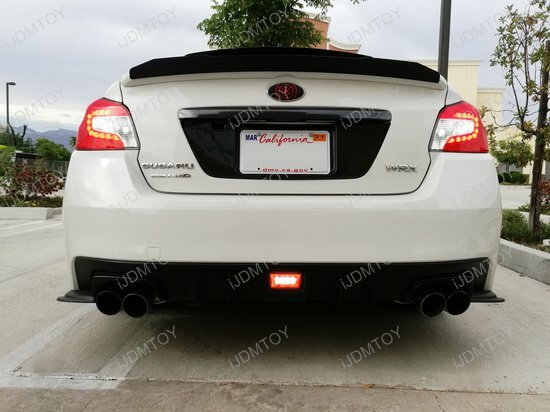 A: Check out this YouTube video by user AzuluzA on how to install a JDM rear fog light on the 2015 Subaru WRX. 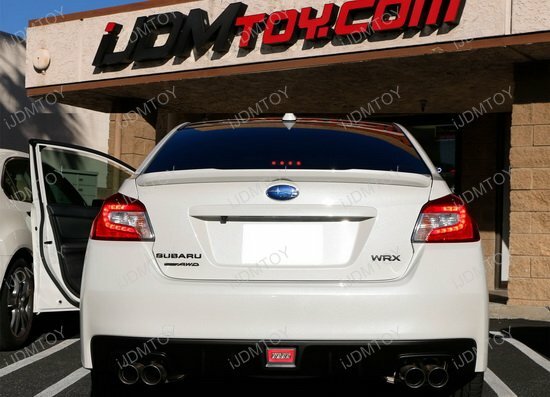 Installing the iJDMTOY Subaru LED rear fog light is the same concept. 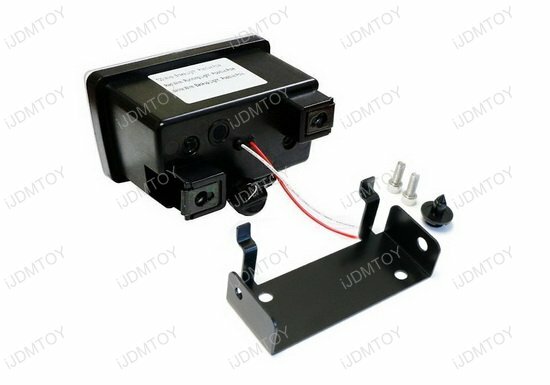 Below the video is also a wiring guide on how to wire up your new LED rear fog light/backup light. 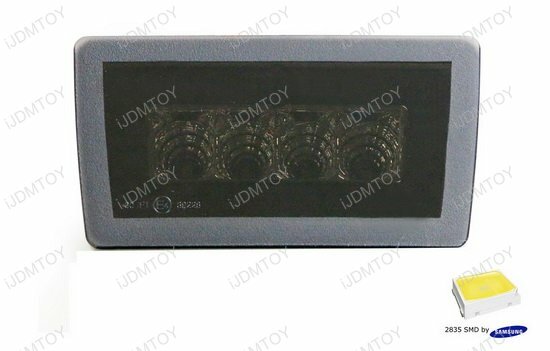 This product also comes with an additional free 7440 harness for installation. The side with the 7440 harness is to be installed facing the bottom in the LED rear fog light assembly. Step 1: For the harness, tap the red wire to the existing taillight positive and the black wire to the ground or taillight negative. Step 2: There are two extra wires behind the LED rear fog light (red and white). Tap the red wire to brake light positive for brake light mode and tap the white wire to backup reverse light positive to function as reverse lights. 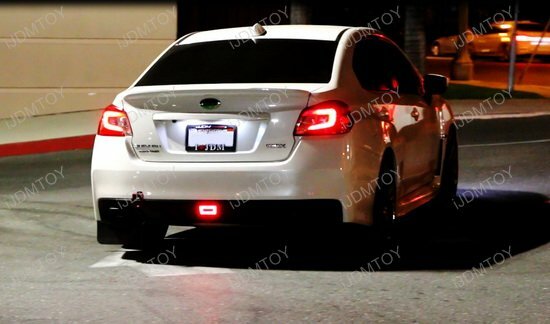 Q: How do I mount the LED rear fog light? 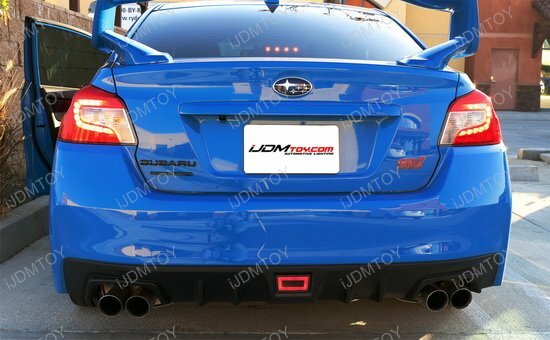 A: The OEM spec mounting bracket is included, so you can install your new LED rear fog light exactly the way the OEM Subaru rear fog lamp is mounted. 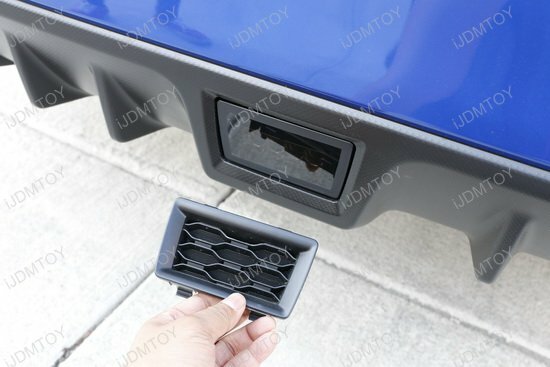 The bracket is used to stabilize the assembly and stay as close to the OEM fitment as possible. Insert the screws into the openings that are diagonal from each other. Secure the screws. Then take the fastener clip and attach it to the side of the bracket that is facing towards the driver side. You will not need to attach a clip onto the passenger side of the bracket. 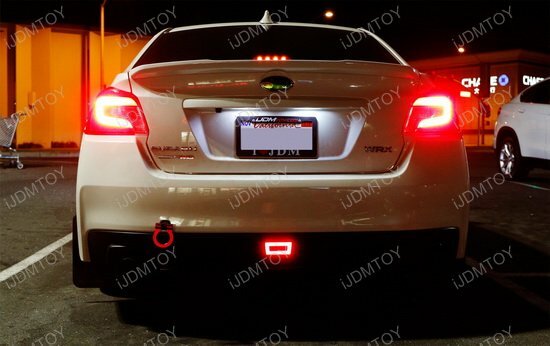 Now you can use the bracket to mount your new Subaru WRX LED Rear Fog Light onto your vehicle. 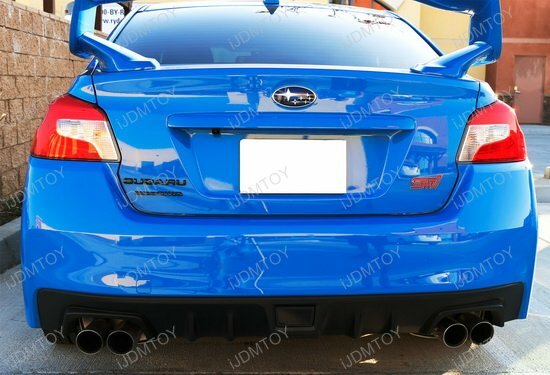 Want your Subie to break necks? 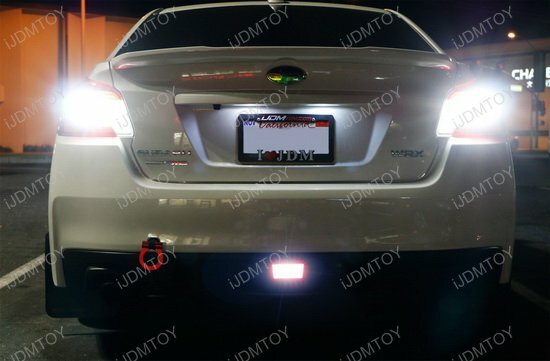 You should definitely get this 3-in-1 JDM LED rear fog light/backup light that will convert your US/North American version's lightless Subaru to a JDM style rear fog light plus additional brake and backup reverse features. 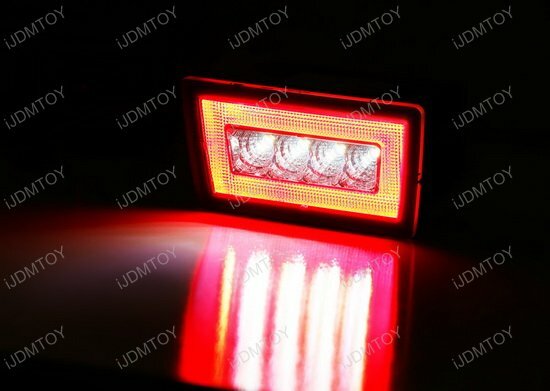 There are 4 pieces of Samsung LED in the center that function as reverse lights and a surrounding red LED border for the tail light and brake light. 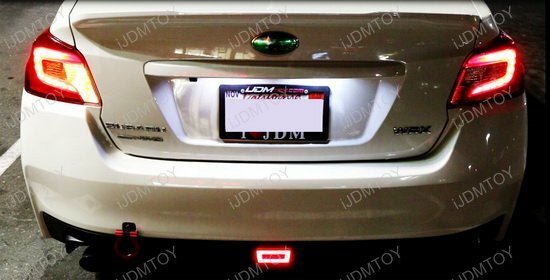 This is the latest LED technology you will see on many new cars for their tail lamp designs, which gives your Subaru a nice JDM look, just brighter and better. 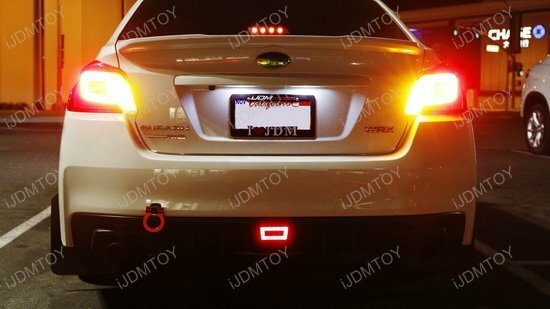 For Subaru Impreza and XV Crosstrek, since the rear fog lamp opening on the bumper was not opened completely, you can not use the metal bracket come with this product, instead, you have to make some spacers in order to position this LED rear fog lamp evenly into the rearfog opening. 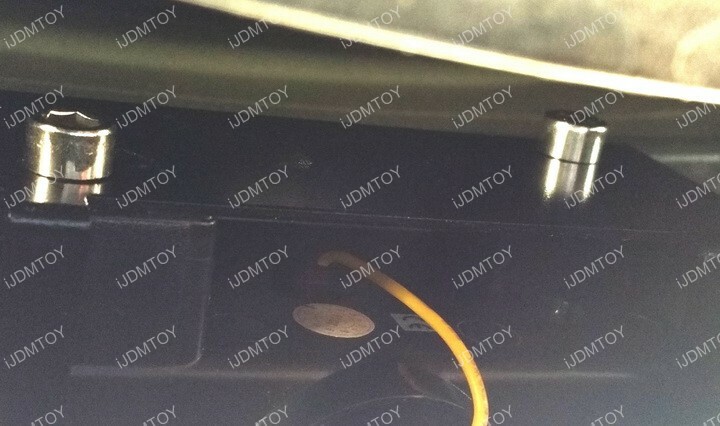 Step 2: There is a yellow wire behind the LED rear fog light and well as a wire extender included in the package. 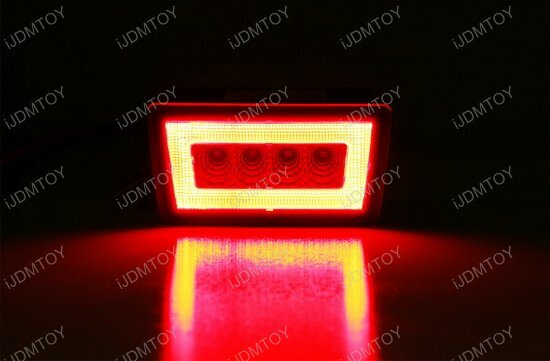 Tap the yellow wire to brake light for the LED rear fog lamp assembly to strobe 3x fast, 3x steady.